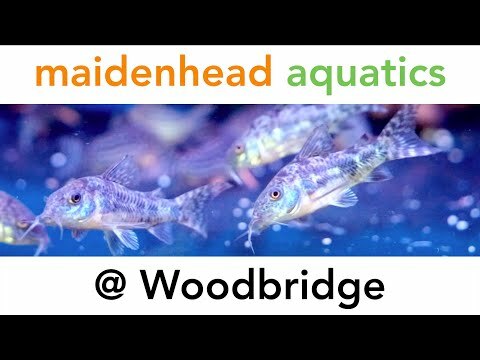 At Maidenhead Aquatics at Woodbridge we aim to offer a full and varied selection of species to cater to the novice or more advanced fishkeeper alike, including shrimps, invertebrates, catfish, L number plecs and African Cichlids. The marine system is well stocked with fish, corals and invertebrates, the centre piece of which is our 1000L coral tank with a selection of different hard and soft corals available for sale. We stock "Live Rock" and have a weekly delivery of live copepods, brineshrimp and river shrimp. We have a good selection of pond fish, plants and dry good available in season and can advise customers in the setup and maintenance of ponds as well as helping to solve any problems you may have. We aim to offer a comprehensive range of livestock and dry goods and will endeavour to order fish or products for customers as quickly as we can if not currently stocked. We pride ourselves on the health of our livestock and our customer service and will help and advice novice and more specialist fishkeepers in every way we can.